Under trees, in woodlands and even in semi-wild gardens, the Aconitums, when once established, enhance the stateliness and grandeur of a place as only a plant with tall spikes of cool blue flowers can. 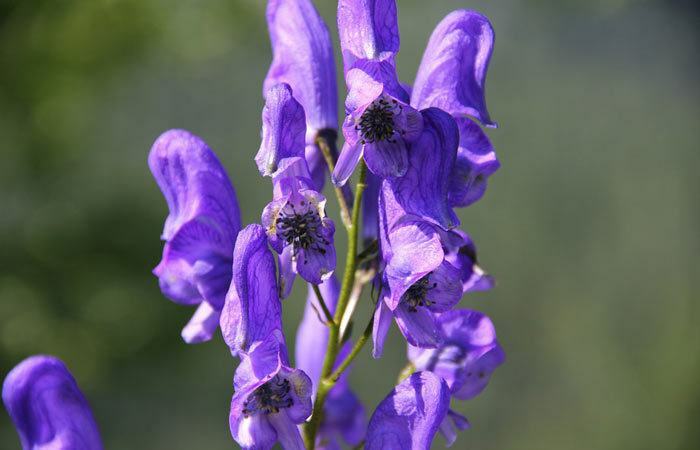 The flowers themselves are showy, shaped like a helmet or hood, from which the common name Monkshood is derived. The leaves are large and lustrous green, forming a dense mat, which throws long, compact stalks of white, blue, violet-blue, white and lilac and yellow flowers. They grow from 3 feet to 6 feet tall and bloom from June or July until November. SPECIES. The common Monkshood (Aconitum Napellus) has large, dark blue flowers and grows 5 feet to 6 feet high. A variety of this one has white flowers with flesh-colored edges and another has decided pink markings on it. A. N. bicolor has white and blue flowers. Wolfsbane (A. Lycoctonum) blooms in June and July, is 4 feet high and has soft yellow flowers. A. Wilsonii blooms in September with spikes of pale blue flowers growing 6 feet tall. A. Fischeri is the last one to bloom. It is only 3 feet tall, has pale blue flowers and blooms in October. UTILIZE. The Monkshoods are planted among shrubbery and in borders, especially in combination with Madonna Lilies, white Phlox and Shasta Daisies. 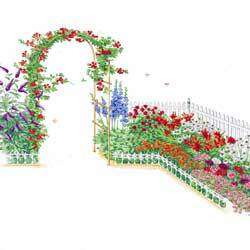 Most of the varieties are valuable to fill in vacant spaces in the garden when the earlier blooming plants have past. They are excellent for naturalizing in a woods. Since the roots are poisonous, one should be careful to avoid planting them near a vegetable garden where they might be mistaken for another plant, or where children could get to them. The effect of the glossy leaves is very striking, especially of A. Fischeri. If undisturbed in the woods, they will naturalize themselves very easily. Aconitums should always be planted in masses. GENERAL. 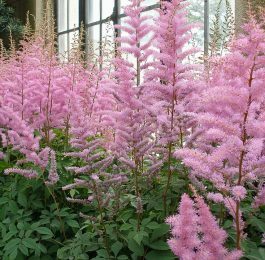 Aconitums grow in almost any good garden soil, either in sun or partial shade. 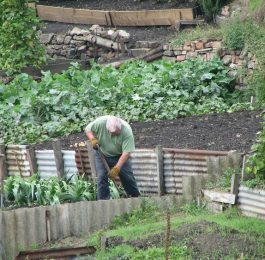 When the ground is being prepared for planting, one should dig deeply and use plenty of well-decayed cow manure. Good culture and liberal feeding add greatly. PROPAGATION. It is a rather slow process to raise them from seed since it takes twenty days for the seed to germinate. However, they are easily propagated by division of the roots. They grow best when left undisturbed for years.